I met Morgan years before she was a name on my roster. I met her, unofficially, in the hallways of the elementary school where I taught because her older sister, Taylor, was in my class. These meetings were a shy wave and sweet smile on a little blonde peanut. 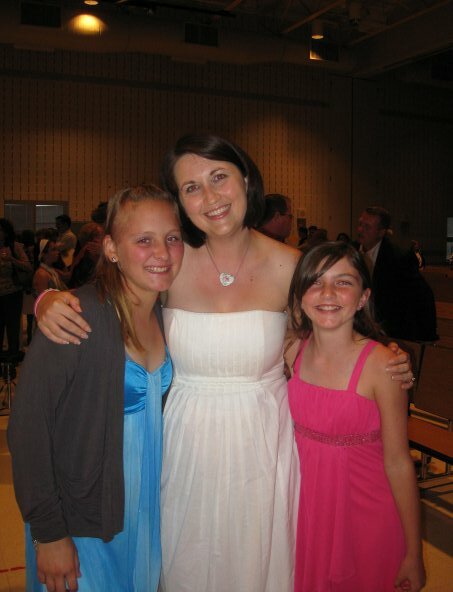 They continued even after Taylor had graduated and moved on to middle school. And then there was the June day I got my class list for the following September and saw that Morgan would be mine for an entire year. 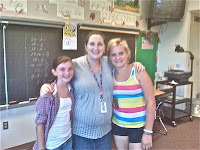 Which meant I got another year with her mother, too. For everyone who’s met Jill, you know this was a bonus treat—though teaching either of the Mysza girls was its own reward; both are the type of polite, respectful, diligent, and kind student that you wish you could clone. It was the spring that she was in my class when Morgan found out her brain tumor was growing. That it was malignant. This was the week the students came back from their spring break and I remember standing in my classroom after hearing the news. The kiddos were in art—and I just stood. Took a reflexive sip from the travel mug in my hand and then couldn’t remember how to swallow the coffee that was growing bitter in my mouth. I spat it out in the sink. For about a week Morgan, one of her best friends, and I were the only three people in that classroom who knew she was ill. Her friend and I cried. Pretty constantly. We’d excuse ourselves, or I’d find a reason to face the board for an extra few seconds before I turned around to face the class again. 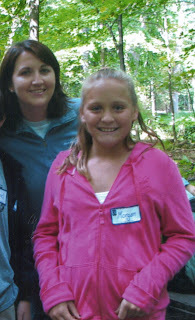 When she was there that week, Morgan smiled. She laughed. She did her school work, and joked and chatted with friends. She continued to be the sunshine she was. It was courage like I’ve never seen. This peanut with more composure in her pinky finger than I had in all of me. Her attendance was patchy from then to graduation—dependent on her treatment schedule and how her body reacted to treatment. But when she was in the room, it was a different place—a better place. A happier place. 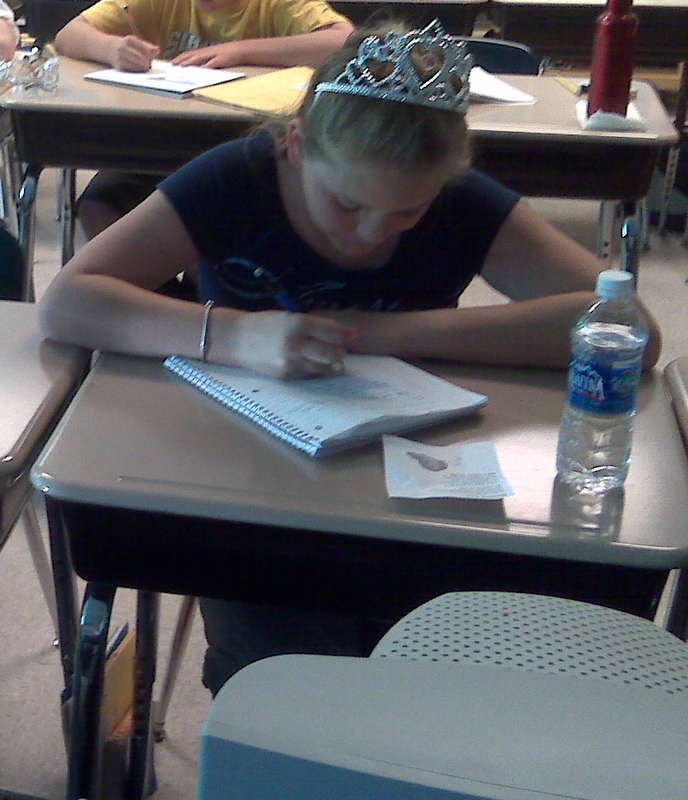 A place full of tiaras, since that’s how my class—both boys and girls—decided to honor her. She was one student amid a group of 26, but she was the cornerstone of that class. When she wasn’t there, we were thinking of her. When she was there, we wanted to be around her and soak up her presence. Morgan was a keeper, and in the years after graduation she didn’t leave my life. She never left my thoughts. I’d decided the day I heard her diagnosis that if the book I was working on at the time—one I hadn’t even finished yet—were ever to be published, I’d dedicate it to her. Send Me A Sign and finally sold last spring and will be published next October. I’ll never forget Morgan’s excitement and enthusiasm when I told her about the dedication: “That sounds amazing. I can’t wait to read it!” And I’ll always regret that she’ll never get that chance. I’m sitting here right now on the night she passed away, cycling through all my memories of her and trying to make sense of it. Needing to make sense of it. Knowing there’s no way to make sense of it. Why take her—someone so young, so brave? Someone who unified a community and brought out the best in people. If my words aren’t enough, check out the more than five thousand people who have supported her Team Morgan page. Sending prayer from around the country and around the world. My heart is broken. And in my mind’s need to find logic in the illogical, all I keep coming back to is concentrated doses. That some people live their lives in concentrated doses. 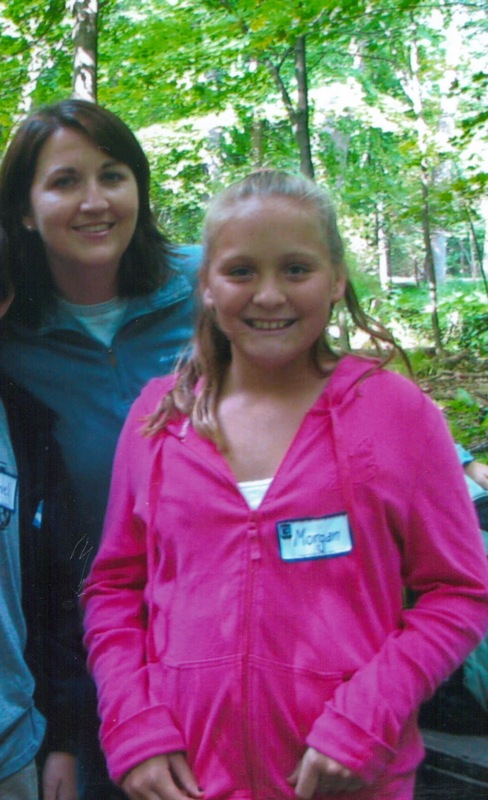 Morgan was one of those people. She may only have had fourteen years, but her impact in the lives of others cannot be measured. Cannot be matched by many who lived a lifetime of a hundred. I was lucky to have known her, privileged to have been her teacher and her friend. She is beloved. She will be missed. But more than that, she’ll be remembered. And when I remember her, it will be with a smile.